The Free Bet can be used to bet on odds between 1.80 to 8.00. Mathew Wade’s side has played like a well-oiled machine throughout the league stages and has defeated their opponents with ease on most occasions. 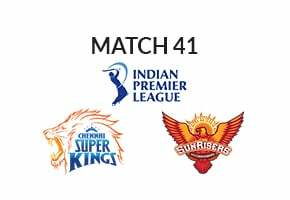 The team has been riding on the performance of its top order especially its openers who have always given the side a good start. The only problem has been with their bowling which hasn’t been up to the mark and hasn’t looked the best in the season. With the all-important phase of the tournament about to begin Wade would want his bowlers to be on the money and win the next game and make it to the finals. He would draw confidence from the fact that his side had defeated the Stars twice in the league stages. The biggest strength of the team is their openers Mathew Wade and D’Arcy Short and both of them have been in incredible form this season. They would be looking to provide a good start to the side in the next game. The middle order has players like Ben McDermott, George Bailey and Caleb Jewell all of whom have scored runs this season. With Simon Milenko and James Faulkner to finish things off the batting looks good for the side. It is their bowling which is the weak point for the side. Jofra Archer and Clive Rose have bowled well in the season but rest of the bowlers including Faulkner, Riley Meredith and David Moody would need to improve their performance to win the game. Glenn Maxwell would surely be delighted with their impressive win over Sydney Sixers in their last league game. It was a must win game for the side and they won it comprehensively to earn a place in the semi-finals. The side which has seen many ups and downs throughout the course of the season would like to put its failures behind and win the next game to earn a place in the finals. Maxwell who likes leading from the front would know that they have a tough challenge at hand as they lost to Hurricanes twice before in the league stages and they would want to reverse this in the upcoming game. The opening combination of Marcus Stoinis and Ben Dunk has done well for the side in the season and they would be looking forward to giving a good start to the side. It is in the middle order that the side is really strong with Peter Handscomb, Glenn Maxwell and Nic Maddinson having the ability to challenge their opponents. They are in good form going into this game. Dwayne Bravo and Seb Gotch are the perfect finishers and would test Hurricanes’ bowlers. The bowlers impressed in the last game and also have had a good season so far. Daniel Worrall, Jackson Bird and Adam Zampa are in good form. The return of Sandeep Lamichhane has strengthened their bowling and they would look to do well in the upcoming game. The business end of Big Bash League 2019 shall kick start with table toppers Hobart Hurricanes taking on Melbourne Stars who managed to earn their entry into the Top 4 winning the last game of the league stages. For the record Hobart Hurricanes defeated them in both the league games convincingly but Melbourne side has some good players who will put in all they have to earn their place in the finals for the second time. Hurricanes have been in the final twice but the crowning jewel still eludes them. It will surely be a closely fought game in Bellerive Oval, Hobart and both sides are expected to come hard at one another. It is a do-or-die game for both the sides where past record won’t matter. But given the kind of form Hobart Hurricanes have shown in the season they would start as favorites in the 1st semifinal of BBL 2019.